Fashion designer Tom Ford makes his directing debut with this haunting adaptation (cowritten with David Scearce) of Christopher Isherwood's groundbreaking 1964 novel about gay love. A closeted British professor in southern California (Colin Firth, outstanding) is so despondent over the death of his longtime lover (Matthew Goode) that he plans to kill himself, but a series of unsettling encounters jolts him out of his grief. Ford's eye for period detail is exact; brief cutaways, incisive dialogue, and charged glances telegraph the cold-war paranoia and sexual alienation of the early 60s. The game cast, including Julianne Moore as the professor's onetime lover and Nicholas Hoult as an admiring student, is well served by cinematographer Eduard Grau, whose color washes, from desaturated tones to a Technicolor sunset, mirror the protagonist's swirling emotions. R, 99 min. The Book of Eli, The Lovely Bones, A Single Man, The Spy Next Door and more. 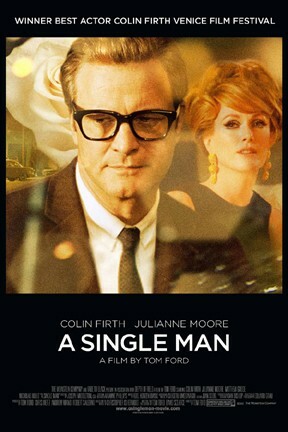 A Single Man is not showing in any theaters in the area.